This set of shots was taken on May 7, 2013 at 5:01 pm. 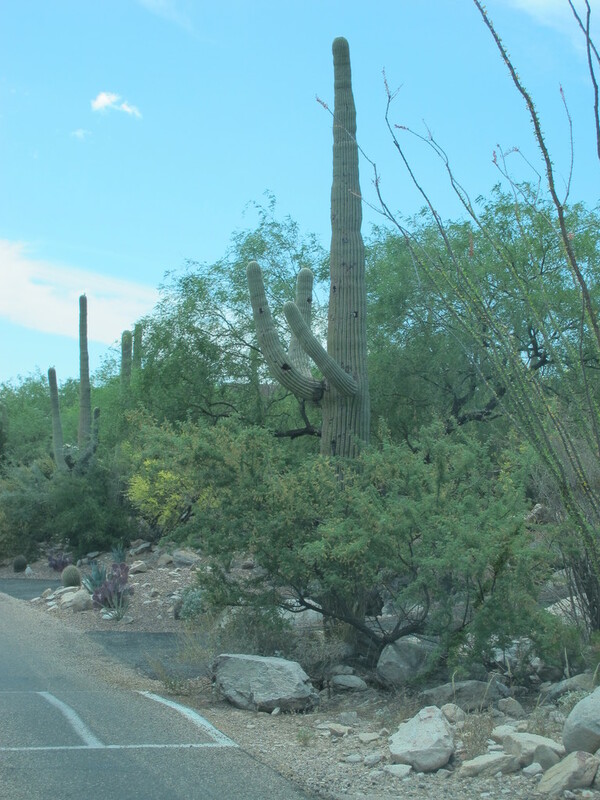 The location was in the Catalina Mountain Foothills in Tucson, Arizona. The "Take It!" 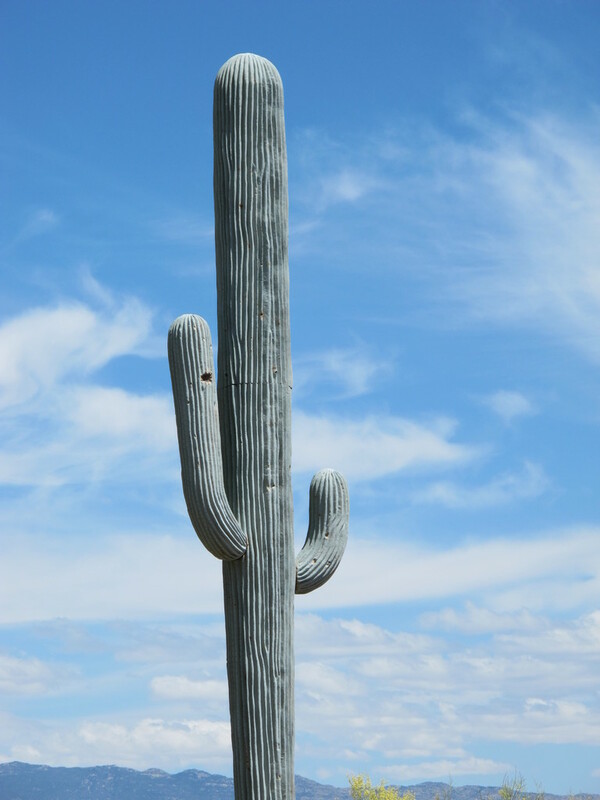 was an immediate reaction when told by my brother that we were looking at a cell phone tower disguised as a saguaro cactus. I must admit, I had difficulty comprehending what I was looking at. We drove by this edifice on our way to visit a long time friend and stopped on our way home to take these photos. 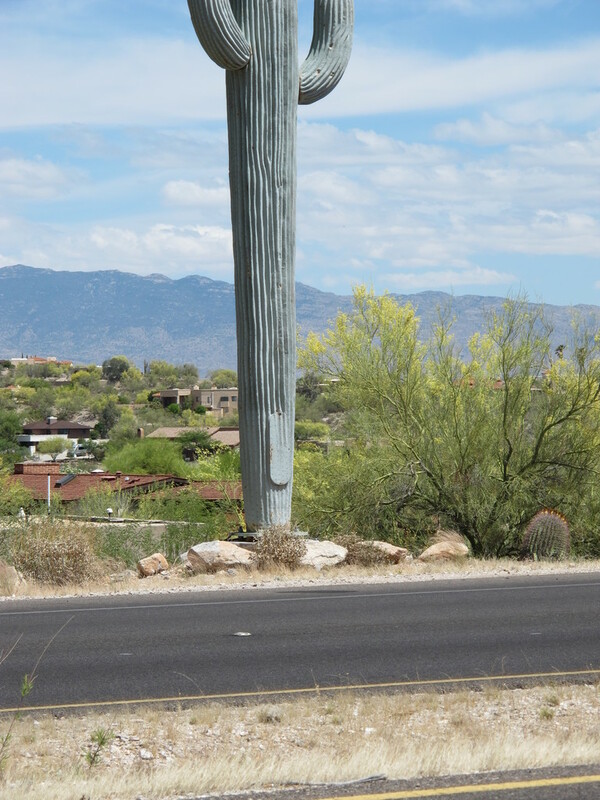 The After Take: This disguise of a cell phone tower is the most creative I have ever seen. Quite frankly, I think it can qualify as a piece of art work. The effort taken to hide this necessary piece of hardware in this desert setting is really quite amazing to me. The detail is quite good as they even included a hole in it that replicates that which is found in the real thing that can house a bird's nest. 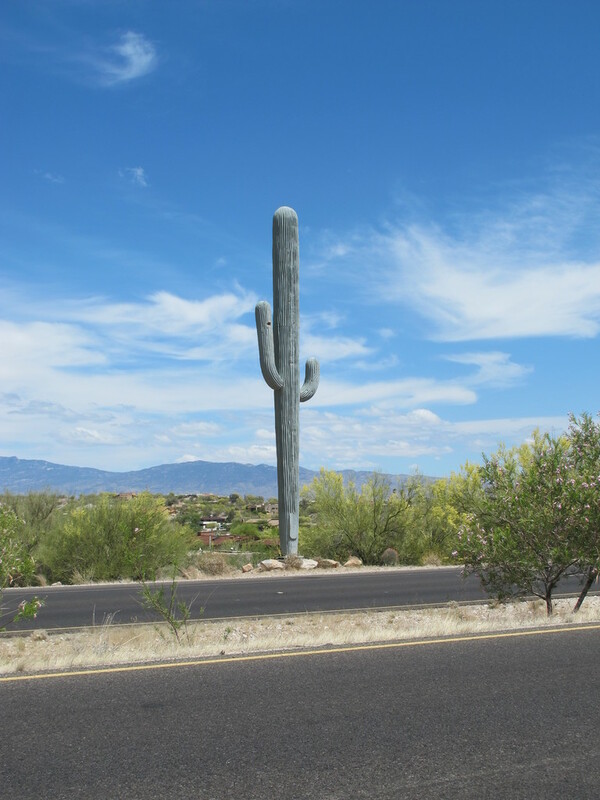 I have included in the complementary photos a picture of a real saguaro for your comparison. The final shot in the photo is the real one. There are also some closer up shots which reveal an access plate to get into the inner workings of the tower. I cannot help but wonder if there might just be a little bit of the sounds of nature that might just seep into some of the calls that go through this tower. Things like: the sounds of the birds that live in the desert, the sound of the wind that can move across this landscape with a sort of tuning that comes from it passing through the bushes and other desert vegetation, last but not least, the sound of the occasional rain storm, which infuses life into this thirsty part of the world. Here is a thank you to those that thought up and carried this concept into being a reality for a cell phone tower in its stripped down industrial form would have been an unwelcome intrusion in this wonderful landscape. Oh yes, the desert speaks, and has many voices and invites many conversations. What a good idea, they should do decorative stuff like this more often. They should put a phone in his hand haha. Interesting! Never seen something like that. Beautiful perspective in these shots!